Before going to Salo on their Easter holidays, my Finnish friends recommended me to do two things this Easter. The first one is that I should try some chocolate easter eggs, Kinder or Fazer Mignon, and the second one is that I must try mämmi, the traditional Finnish Easter dessert, with some cream (kerma). Finns are eager to let anybody try their dessert these days, and some other friends were urged to give it a try. 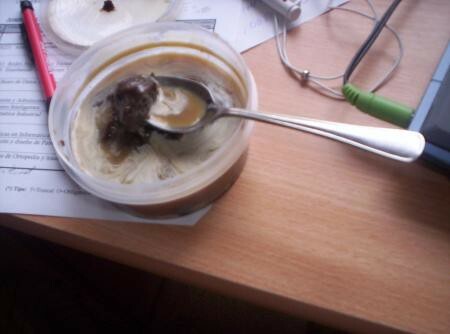 A friend of mine got some mämmi from friends, and after she tried it she gave it to me and added the words “good luck”. So I gave it a try as well. Mämmi’s texture is strange and granular. Its looks weren’t particularly attractive (it is not a food that you eat with your eyes as well). The flavor of mämmi isn’t great, but it isn’t terrible either: it tastes like dark bread, something they do like in Finland. Think of a dense dark bread, beaten. If you’re looking for a recipe to do this kind of traditional Finnish Easter dessert, you can use this one and maybe you can give it your own spin to make it suit your taste better – since the original one may be too Finnish to be enjoyed by everybody. Would I have mämmi ever again? Good question. I think if someone would offer it to me at a dinner table I wouldn’t refuse it. I think that it is, as other Finnish foods like the salty liquorice salmiakki, an acquired taste. It won’t be the children’s favorite dessert, but if you like the flavor of dark bread I would definitely recommend you to try it. Update: here’s a video of Chef Gordon Ramsay tasting it and giving his professional opinion. 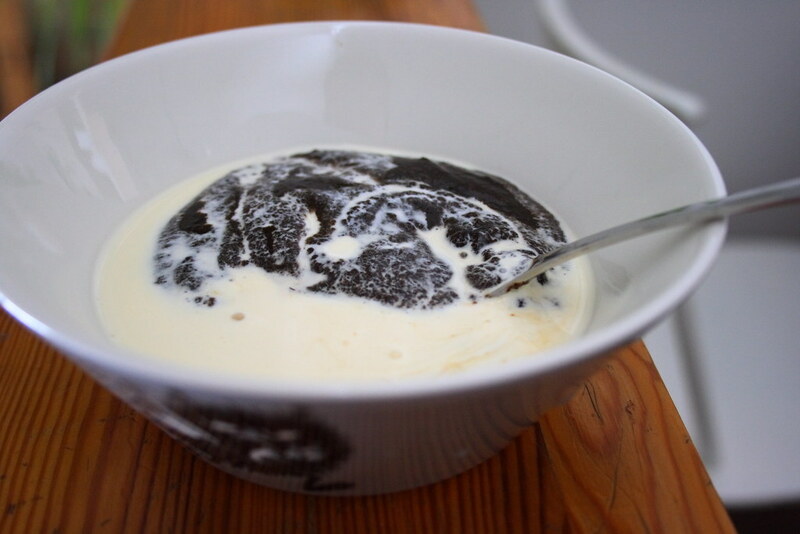 Have you tasted mämmi? What did you think about its flavor and texture? Granted, the presentation could be much, much better. I’ve been through all kinds of weather in Finland, most of it in Joensuu, in the middle of the country. I’ve yet to write an extensive guide that covers what to wear in Finland throughout the whole year, but now that winter has come around – something that can be daunting for those who have never been to the Nordic (and Scandinavian) countries – it is time to cover the most important basics: what to wear in Lapland and Finland in winter. 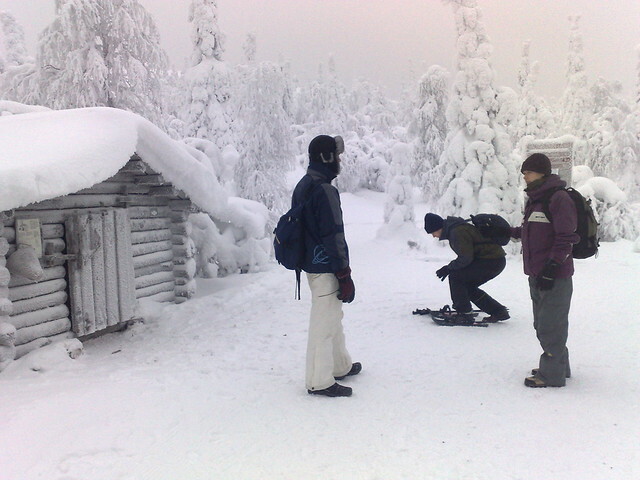 Some people outdoors in Lapland in Winter: wearing the right clothing is essential. Source (CC: by). 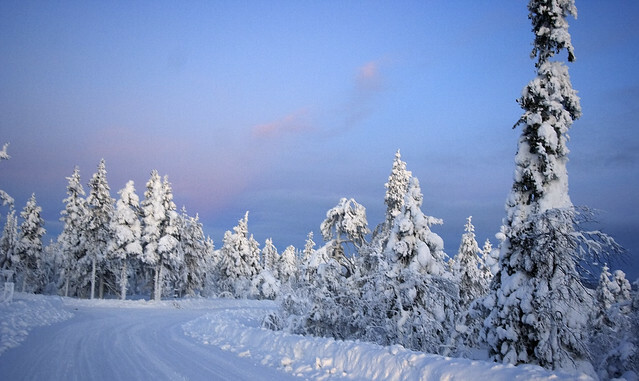 Finland’s climate – especially in Lapland – makes the winter an extremely long one, lasting up to half a year. In October the average temperatures are already below zero and snow starts falling. Although the current winter has been extremely mild, it’s not uncommon to have snow for up to six months a year. Because of that, warm clothing becomes essential for good living – and surviving, if you’re not a natural born Finn – since the temperatures can dip to -30° Celsius in most parts of the country. It is not something to take lightly. Having lived in North Karelia, I wanted to ask someone who had lived the most extreme climate of them all: Lapland. I asked Miguel and these are his recommendations. “If you have ever experienced -20º Celsius, the question of what to wear in Lapland and Finland becomes much simpler: what did you wear in those temperatures? Once the thermometer goes below -15º Celsius, you don’t notice the difference between that and even colder temperatures anymore. 30 degrees Celcius below zero. That’s 25 degrees lower than your freezer.You can bring your own gear from your country, but check out the prices beforehand. In some countries it will be cheaper to buy the clothes home and bring them over in your luggage, but in some cases it is quite the opposite, and in Finland you will find everything you need. For the extreme cold you will need a number of layers, always depending on how cold it is and how much you can stand the “normal” cold. The first layer when you want to know what to wear in Lapland and Finland is similar to pajamas – something like long johns – not only on the lower half of the body but also the upper. The second layer would be a layer of clothes made out of fleece, both for the legs and the upper body. Regarding the trousers you don’t need to go overboard: anything is good as long as you feel comfortable. Fleece clothing can be interchanged with thermal clothing for this second layer. The third layer for your trip to Lapland or Finland in winter, or if you are going to live there (for instance for Erasmus) would be the snow clothing: a good jacket for the extreme cold and ski trousers. My choice and the choice of lots of my friends was Columbia and it served us well. Finally, don’t forget to take underwear! 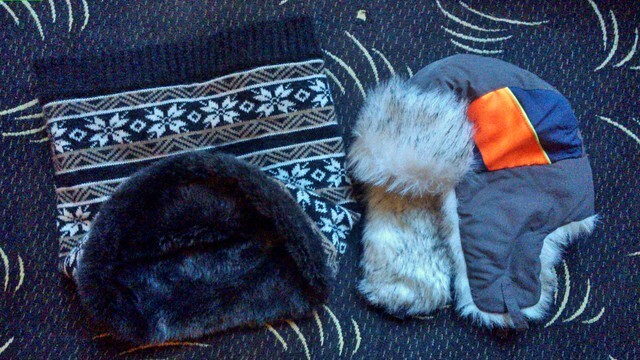 They will spend the day outdoors: we can see the third layer of clothing for the extreme winter in Lapland and Finland. Source. These are the three key points to keep warm: feet, hands and ears. For the hands and feet you always have the classic option of gloves and socks made of wool or made of special thermal fabric for snow and cold temperatures. I have special socks like that and they’re perfect, because another problem you face before going outside when you’re indoors is that you start sweating. That’s something that can worsen your day: you’re going to feel like your feet get frozen. Special fabric helps with that. My trick to avoid this for the hands is to wear some thin gloves, those black thin ones everyone has, and over those the key to real warm hands: mittens. Perfect. Don’t wear just gloves for anything in the world, even if they’re skiing gloves. Mittens made out of leather with an inner lining of shearling: that’s the only thing to wear. You can even have them smoker-friendly, if you smoke. Regarding the feet and the shoes, there is a wide variety of boots adapted to the extreme cold, from more formal shoes to the classic rubber boot with shearling on the inside. Possibly, the latter will be the best, and for the most cold-averse, adding a sole made out of shearling will definitely do it. 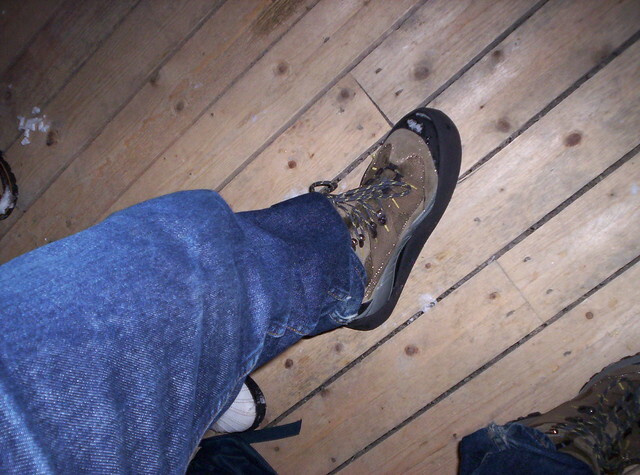 Nice gore-tex boots were the choice for many, me included. They lack glamour but damn, they do the job. Don’t worry too much about removing the layers and other clothing in Finland: if you leave them in public wardrobes they will be there when you come back for them. In Finland nobody will touch something that isn’t theirs. Finally, for the head, good earmuffs are a must, and I can’t stress this enough. On top of that, a russian-like hat (lined with shearling or another kind of artificial animal-like fur) or a very thick woolen hat will keep your head warm. Don’t forget a scarf or a neck gaiter. On the coldest days the only thing that should be shown are the eyes (which eyelashes will have ice droplets attached to their ends). For the extremely cold-averse, a ski balaclava is the right thing. This is the best if you are going to use a snowmobile or if you go skiing in unusually low temperatures. We went once to Levi for skiing in February and going downhill at -18º Celsius wasn’t very enjoyable (the sauna afterwards was, nonetheless). 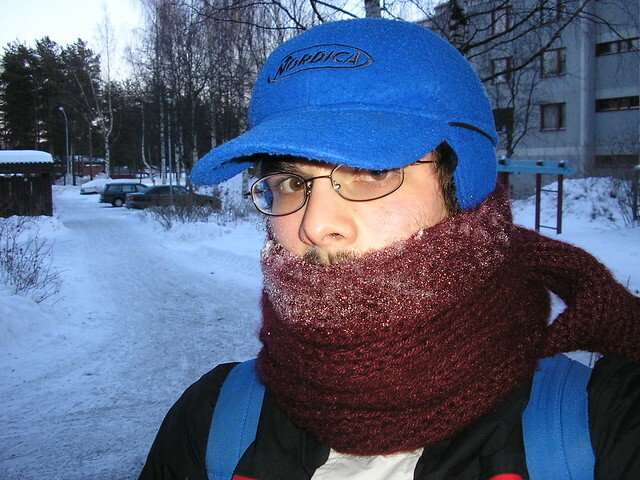 My neck gaiter with synthetic fur inside, and a russian-like hat. Another thing many people do is to travel with all their clothes bought in their country, which is understandable if you don’t want to leave anything to chance. But why look for good and affordable mittens, gloves or shoes in another country when they are availiable here in any sports store for a good price. It might not be the best quality, but you probably won’t need that if you’re going to be only one week in Lapland (which is one of the best places to see the Northern Lights). All this advice for what to wear in Lapland is perfect if the temperature is quite low, and if you are going to spend a lot of time outdoors. For just small trips to the outdoors, for instance from the bus to the Santa Claus Village and back, you can survive with fewer clothes. My record is 5 minutes with a pullover at -25° Celsius. Miguel protects everything: a frostbite isn’t fun. If you are going to be walking outdoors a lot and enjoying the landscape, the right clothing for Finland and Lapland will be a combination of the three layers mentioned above. 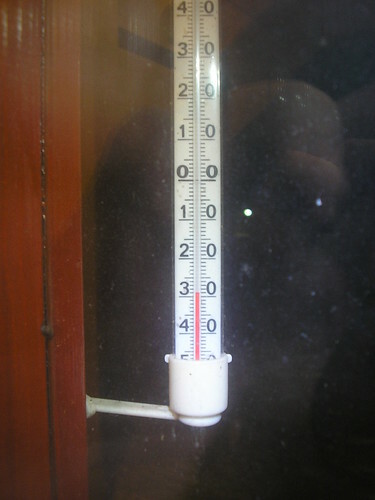 If you aren’t going to be outside much, instead spending long periods indoors, it is better to leave out the first layer and dress only with the second and third: you will remove the third layer when entering a building and will stay indoors with your normal clothes, without overheating from the first and second layer. 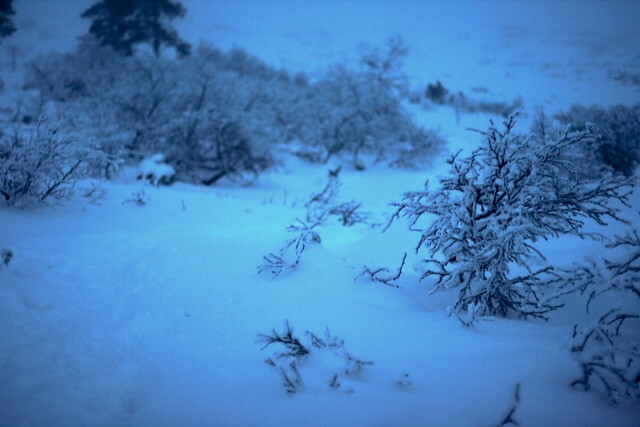 Do you have further advice about what to wear in Lapland and Finland in winter? Do you recommend a concrete brand of clothing or shoes? The first attraction is situated 8 kilometers north-east of Rovaniemi, and close to the airport. It is the Santa Claus Village (official website). You can get there from the city center as well, taking the bus number 8 from the train station. Santa Claus Village, seen from outside. Source (CC: by). The line of the Polar Arctic Circle. Source (by-sa). 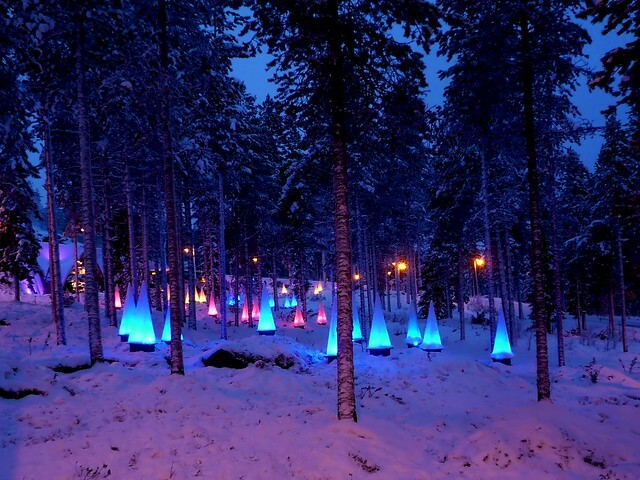 Joulukka (official page) is located in the middle of a forest 16km from Rovaniemi. 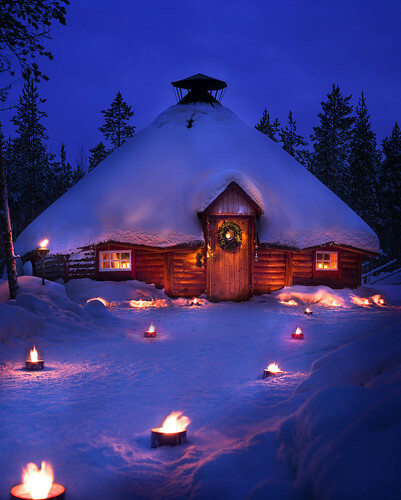 It is said to be one of Santa’s best kept secrets in Finland. 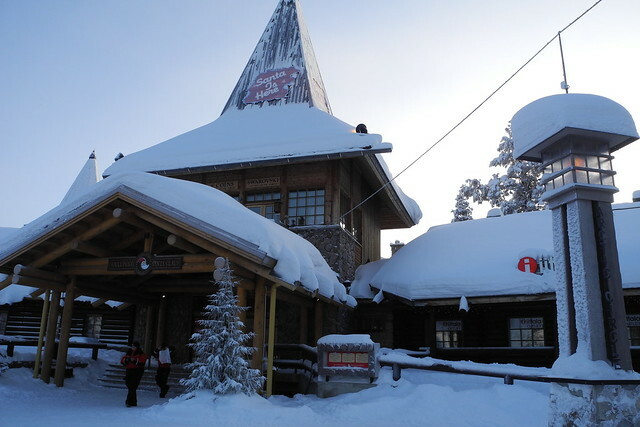 Out of the three places where you can see Santa Claus sights and attractions in Lapland, this is the newest and the one with the highest prices. Up to now the elfs – Tonttu in Finnish language – made sure that nobody was able to find it, because it’s the place where the Command Center of Santa is located: The place where he carefully plans his trip on December 24th. 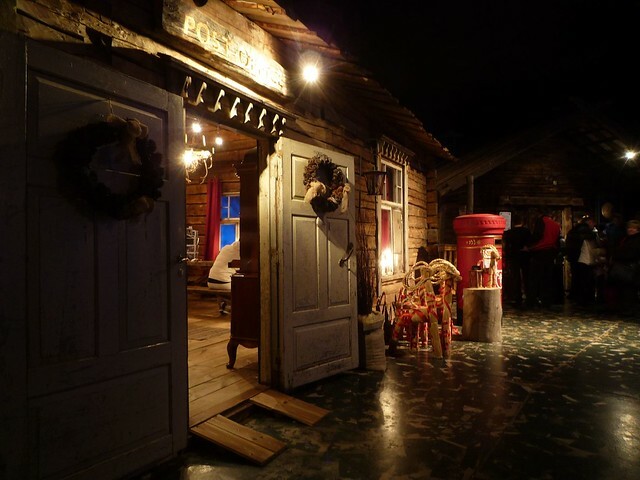 The Santa Park (official page) is another popular attraction about Santa Claus in Rovaniemi. The park is designed to look like his cave residence. 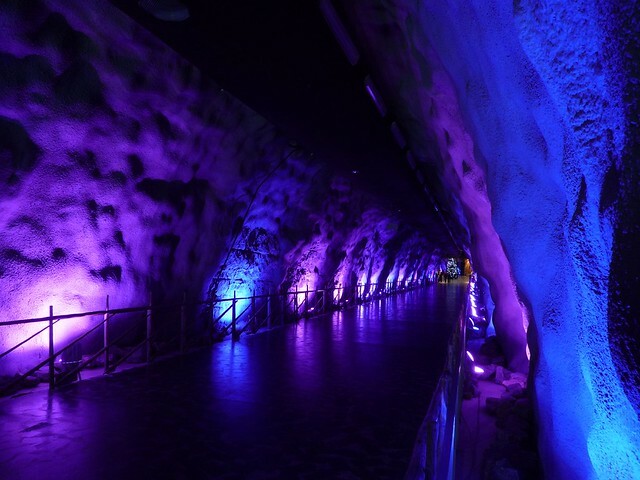 The visitors of the Santa Park descend through an impressive portal that leads them through a cave into the mountain. The entrance to the Santa Park. Source (CC: by-sa). Getting inside the cave. Anything to meet Santa Claus in his Lapland home! Source (CC: by-sa). The Gingerbread Kitchen: The kids can decorate gingerbread cookies made by Miss Noel, and in the meantime the parents can have a glass of glögi, the Finnish Christmas drink. We did a post about sending a letter to Santa Claus, with the right address and some tips, but it is always good to remember the address: Santa Claus, 96930 Arctic Circle, Finland. The official post office of the Santa Park. Source (CC: by-sa). 24 hours of darkness. Something that is impossible to imagine for most people in the world. But it happens every year in Finland, and people that go traveling to Finland during the winter will experience it. I never really had to face Kaamos, the Polar Night of Finland, but I did have to face lots of nighttime per day, which was very unusual for me. Finnish flora during the moment with most light of the Kaamos. Source (CC: by). The weeks around the winter solstice, 21st of December, are objectively the darkest time of the year. The days – the time with daylight – are short. Furthermore, before Christmas time, it is quite possible that the snow didn’t fall yet: The streets don’t reflect the light, which makes everything seem even darker. I remember my first days with only a few hour of daylight in Finland, when I used to count the hours of light per day. I woke up and it was dark. I took my bike to go to the center and the sun started to rise slowly. Later on, at 15h or so, it was night again. 5 hours of daylight per day in the Joensuu winter. Anyway, we were lucky: We were in Central Finland and, being Spanish as I am, 24 hours of nighttime would have been too much. Pretty nice as an experience of a couple of days, but bad to live it like that for a whole winter or more. But that’s business as usual in the North of Finland: They have the Polar Night and the Kaamos if they live above the Arctic Circle line. And a lot of nighttime if they live below. 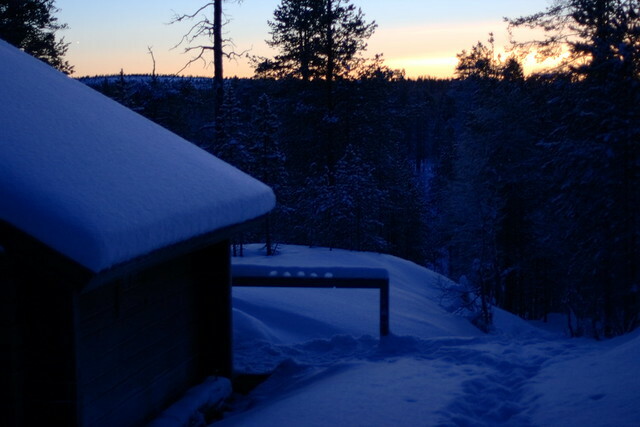 The Kaamos – the Polar Night – seen from a Finnish cottage (a mökki). Source (CC: by). 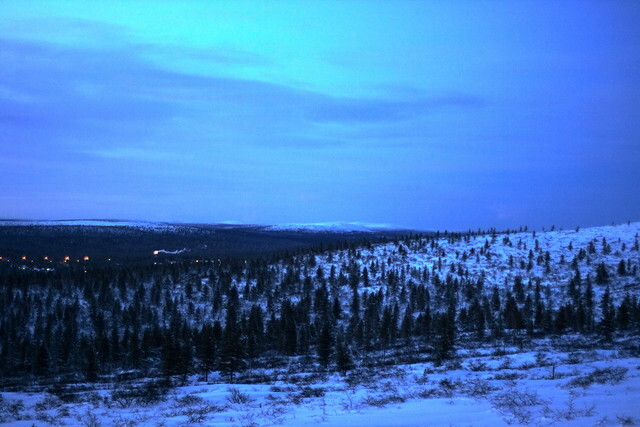 The Kaamos, also known as the Polar Night, is the time of the year where there are at least 24 consecutive hours of darkness. Kaamos can be long in the North of Finland (up to two months), and brief – just a day – when staying on the Arctic Circle line. Why is the Arctic Circle so important for the duration of the Kaamos? Because this imaginary line marks the place where the sun won’t rise at least one day a year, and won’t set at least for one day a year. In summer this phenomena is called Midnight Sun (24 consecutive hours seeing the sun), and the Polar Night is just its opposite. A Finnish road during the Kaamos time of the year. Source (CC: by-sa). But the fact that it is dark for at least 24 hours doesn’t mean that the sky is always black. Around noon there is a twilight – the clarity in the sky before the sun rises – with the particularity that the sun never actually rises. In this moment a magical shade of blue takes over, and – especially if everything is covered in snow – everything seems to glow with a blue color. A brief, true blue world. Also, during the Kaamos and the cold weather, in the North of Finland you get to see a lot of Northern Lights. It truly is a great time to visit Finland. This Finnish village doesn’t see more clarity than this during the Polar Nights of the winter. Source (CC: by). Have you been so lucky to see the Polar Night? What did you feel during the brief moment of clarity of the Kaamos?